This is everything we have, meat wise. You get all 8 flavors of bacon sausage, plus 3 cases of craft pork jerky and 3 cases craft pork snack sticks. That’s a total of 92 packs/sticks total! 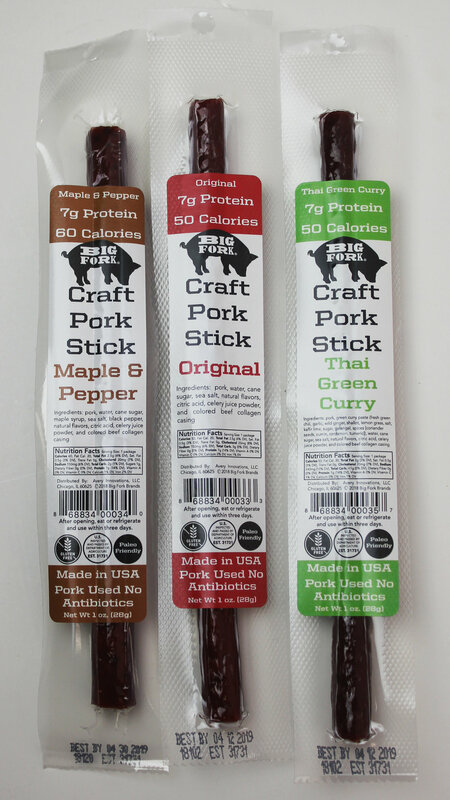 Each pack of craft pork jerky includes: 11g of Protein. 100 Calories. Paleo Friendly. Antibiotic-Free. Made in USA. No Junk. Gluten Free. Each stick includes: 7g Protein. 50-60 Calories. Paleo & Keto Friendly. Antibiotic-Free. Made in the USA. No Junk. Gluten Free. You save $50 when you buy this package! Bacon Sausage Flavors: Hickory & Applewood, Aged Cheddar, Maple & Brown Sugar, Cracked Black Pepper, Chicken & Bacon, Spicy 3 - Pepper, Portabella, and Bacon & Ale.